Thermodynamics can be fairly regarded as a science of relationships. It provides logical connections between a welter of seemingly unrelated properties of substances and modes of changing state. In common with all other branches of science, thermodynamics has its own terminology. Some terms are familiar to everyone (such as temperature and pressure); others are mysterious to the nonspecialist (such as entropy and reversibility); one is intermediate between these two extremes, in that most people have a feeling for it but that no one can define it (energy). > A phase is one of the three states of matter, solid, liquid, or gas. If two or more phases coexist, they must be uniform on a molecular scale and separated by sharp interfaces. > a system is the material contained inside a well-defined portion of space. - If the system contains a fixed quantity of matter whatever change is taking place, it is said to be closed. The gas in a sealed container is an example of a closed system. - If matter flows in and out of the system, it is termed open. An orifice in a tube with imaginary permeable boundaries upstream and downstream constitutes an open system. - If the system consists of more than one phase, it is heterogeneous. Ice and water in a glass is an example. > A boundary forms the periphery of the system. - It can be moveable or not; the latter is termed a rigid boundary. - It can allow heat to pass through it or be insulated; the latter characterizes an adiabatic boundary. > The properties of a system are its attributes, or quantities, that characterize its condition. All thermodynamic properties are fixed if as few as two properties are specified. For example, specification of the temperature and pressure of a gas fixes its internal energy as well as its volume. Thermodynamics cannot predict the law that relates pressure, temperature and energy any more than it can predict the p-V-T relation of the gas. It only requires that there be such a law. > The surroundings is all matter outside the boundary of a system Thermodynamically, the universe consists of a system, its boundary, and the surroundings. As a practical matter, the surroundings are the immediate environs of the system. > A system is at internal equilibrium if nothing about it changes with time and it does not support gradients of any property. Figure 1.8(a) shows a system (gas or liquid) contained inside a cylinder with a piston. This is a very common combination used to assist thermodynamic analyses. Not all systems are so easily identifiable as the one contained in the cylinder/piston boundary. Figure 1.8(b) shows a common high-pressure gas cylinder with a valve at one end. If the valve is opened, gas flows out. When the pressure in the cylinder equals the pressure of the surroundings, the flow ceases. In order to know the state of the gas remaining in the cylinder following this blowdown process, a system needs to be identified. The appropriate system is the gas contained at the end of the cylinder to the left of the dashed vertical line. This line, together with the cylinder wall to its left, constitutes an imaginary boundary for the system at the initial high pressure. The location of the line is chosen so that all gas within the system boundary fills the cylinder at the end of the blowdown. The process is imagined to be movement of the dashed vertical line towards the right as gas leaves through the valve at the end of the cylinder. When viewed in this manner, the system is closed because it contains the same quantity of gas throughout the blowdown process. Thermodynamics is also concerned with what drives a system from one state to another. For such a change to occur, the system must exchange mass and/or energy with its surroundings, the latter in the form of heat and work. These forms of energy-in-motion are manifest when they cross the boundaries, real or imaginary, that separate system from surroundings. The concepts of heat and work are fundamentally different from the properties of a material. Heat and temperature are particularly prone to confusion, possibly because "hot" sounds more like the former than the latter. Something that is hot possesses an elevated temperature, but not a large quantity of heat. A weather report of "sweltering heat" is considered to be synonymous with the term "blazing hot", but thermodynamically, "heat" and "hot" are distinct concepts. To say that a body (or system) contains a certain quantity of heat is incorrect; the body or system possesses internal energy. Heat appears as this energy crosses the system's boundary in the form of conduction, convection, or radiation. We often speak of chemical reactions or nuclear radiation as heating a body. However, from a thermodynamic point of view, these are agents for increasing the internal energy of the body. The term "heat" is restricted to thermal energy crossing a system boundary driven by a temperature difference between system and surroundings. The other form of system-surroundings interaction is work. This is a catch-all term for forms of energy transfer that have in common that they are not heat but are in principle completely interconvertible among themselves. The most common form of work in thermodynamic discussions is that produced by a force F acting over a distance AX, which represents displacement of the system boundary. This action involves a quantity of work given by W = FAX. If AX is multiplied by A, the area over which the force acts, and F is divided by A, the work equation becomes F = (F/A)(AAX). Since F/A defines pressure p, and since the product AAX is the volume change AV, the work involved can also be written as W = pAV. This form of mechanical work done on (or by) the system is called "pV" work. A useful device for expressing pV work is the piston-cylinder combination shown in Fig. 1.8(a). Movement of the piston changes the volume V of the gas or liquid system contained in the cylinder. If the piston is weightless, the expansion is slow and there is no friction as the piston moves, the system pressure p is equal to the pressure of the surroundings psurr. In this case there is no ambiguity in the pressure to be used in the pV work formula. In general, however, care is needed in using the proper pressure in the pV work term. For all real expansion/compression processes, friction causes the system pressure p to differ from the pressure of the surroundings, psurr. Since the surroundings are the provider or recipient of the work in the process, pV work must be calculated using psurr. Section 1.9 focuses on this point in more detail. Another common form of work is shaft work, which is transmitted to the surroundings by means of rotational motion rather than expansion or contraction of the system boundaries, as in the pV form. Shaft work is performed in an open system such as the one shown in Fig. 1.9. An example of shaft work is spinning of a turbine by flowing high-pressure steam in an electric power plant. A third form of work that falls within the purview of thermodynamics is electrical work. This form of work is best exemplified by the ability of a battery to run a motor by means of the electrical current it generates. As noted above, boundaries (real or imaginary) separate the system from its surroundings. The characteristics of this boundary govern what forms of mass and energy can pass between system and surroundings. These features of the boundary can be divided into opposing limits of the ability to transmit mass, work, or heat. • Heat transmission: Movement of energy as heat requires a difference in temperature between system and surroundings and a boundary through which heat can pass. A boundary that does not permit heat to cross is said to be adiabatic. Boundaries that pass heat are termed diathermic, although this term is rarely employed. The quantitative heat-conducting properties of the boundary are of no concern; kinetic (or rate) processes are not within the purview of thermodynamics. • Work transmission: From a thermodynamic perspective, the work-transmitting properties of the boundary are not significantly more complicated that its heat-transfer ability. 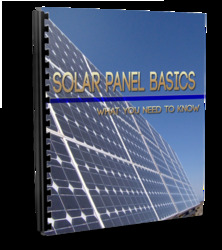 The single most commonly encountered type of work is done by a moveable boundary, by which the system performs pV work. Other forms of work (e.g., shaft and electrical work) can cross a system boundary whether or not it is rigid (i.e., incapable of movement, hence of performing pV work). • The isolated system: Thermodynamics reserves a special name for a boundary that is both adiabatic and rigid, and is not penetrated by rotating shafts, electrical wires, or other devices that could transmit non-pV forms of work. A system protected by such a boundary is called isolated. It would appear that a system that cannot be influenced by its surroundings is of little practical interest. This is indeed so. However, the isolated system occupies a hallowed niche in thermodynamic theory because it provides one of the simplest ways of elucidating some of the more esoteric features such equilibrium, spontaneity of change, and entropy. • Mass transmission: The mass-transmitting capabilities of a system boundary possess limits analogous to those of heat and work transmissibility. The boundaries of the closed system are impervious to all matter; the material inside a closed system retains its elemental identity during passage of heat and/or work across its boundaries. However, the system's molecular composition may change by chemical reaction. In an open system, matter flows across inlets and outlets in the boundary (Fig. 1.9). At steady state, the quantity of matter in an open system is constant. In contrast to a closed system, gradients of thermodynamic properties are permitted in open systems (e.g., the pressure decrease through a turbine). A thermodynamic process is the act of changing the state of a system. The state of the system is defined by a few properties such as temperature, pressure, etc. 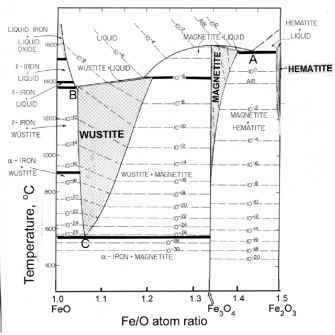 The process may occur spontaneously, as reaction of H2 and O2 to form H2O, or it may be induced as a result of the interchange of heat and work with the surroundings. We are always interested in the initial and final states of a process, and often in the path followed between these two states. However, thermodynamics is blind to the rate of the process. • Isothermal, in which the process occurs at constant temperature. A common isothermal processes are changes of phase: the melting of a solid to a liquid (or vice versa) or vaporization or condensation. • Isobaric processes occur at constant total pressure. Heating a gas in a cylinder with a piston exposed to a constant external pressure is such a process. • Isochoric processes take place at constant volume. Systems with rigid boundaries by definition can undergo only isochoric changes. • Isentropic processes involve a more subtle restraint than the above three. Isentropic processes occur at constant values of the system's entropy. Such processes must be adiabatic, but the absence of heat exchange with the surroundings is not a sufficient condition. To be isentropic, the process must also occur without dissipative effects, or irreversibitities. The concept of the reversible process is discussed below and is intimately tied to the Second law of thermodynamics. Although never completely attainable, nearly isentropic processes are of enormous practical importance. The passage of steam through a well-designed turbine or the flow of a liquid through an efficient pump represent processes that are close to isentropic, or its synonym, adiabatic-reversible. • Cyclical processes are combinations of "one-way" processes such as those described above that return the system to its original state. The path followed by the working fluid in an electric power plant or in a refrigerator or air conditioner are common cyclical processes.